We live in Charlotte, N.C., home to the Charlotte Mecklenburg Library System, which has 20 (yes, you read that right) branches within our metro area. We regularly visit three near our house. Once my kids discovered how to use the library website, I was in trouble. They can now look up books, CDs and DVDs they are interested in checking out and see exactly where they are in the library system. They also learned how to request items (this is where I got into "trouble," as I was constantly having to drive them to pick up the requested items). For fun one day I showed my son how to look up the branches using Google Maps. This helped him see how far our house was from each branch. 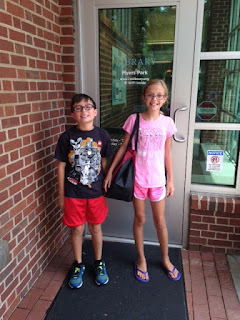 One day we were leaving an indoor trampoline park across town when he suddenly asked me “Are we near the University City Library?” It turned out, we were two minutes away, so we made an extra stop on the way home and they got to visit a library they had never been to. We left with books and DVDs for all of us. They even asked me to snap their picture in front of the door for fun. We always made sure to stop at the book sale section of each library, and came away with armfuls of gently used books and DVDs practically free. Because we were all participating in the summer reading program, we also collected our earned prizes during these visits. 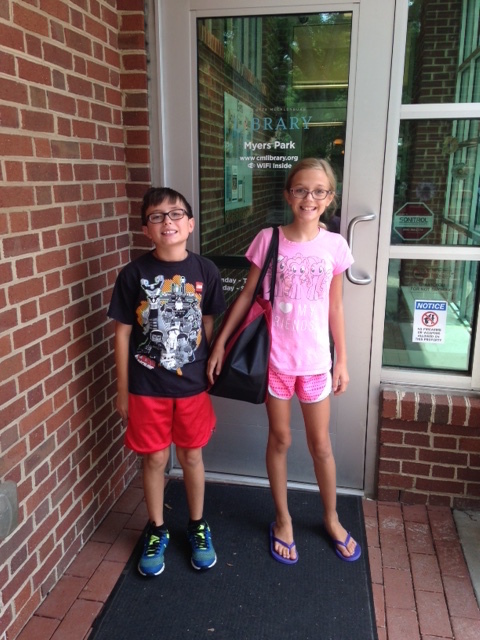 At one point, my son wanted to visit each library on the list before summer was over, but timing didn’t work out. Some of the libraries are a good 45 minutes away from our suburb. I did try to combine a few new branch visits with other activities we had going on. For example, one day I took them to lunch at one of my favorite pasta restaurants, we visited another library we had never been to, and then hit a popular park on the way home. It was a great day. I hope that next summer we’ll be able to visit all the libraries on the list, and I’m starting to think there’s a children’s book idea somewhere in all this. Do you visit your local library regularly? When did you first discover your love of libraries? 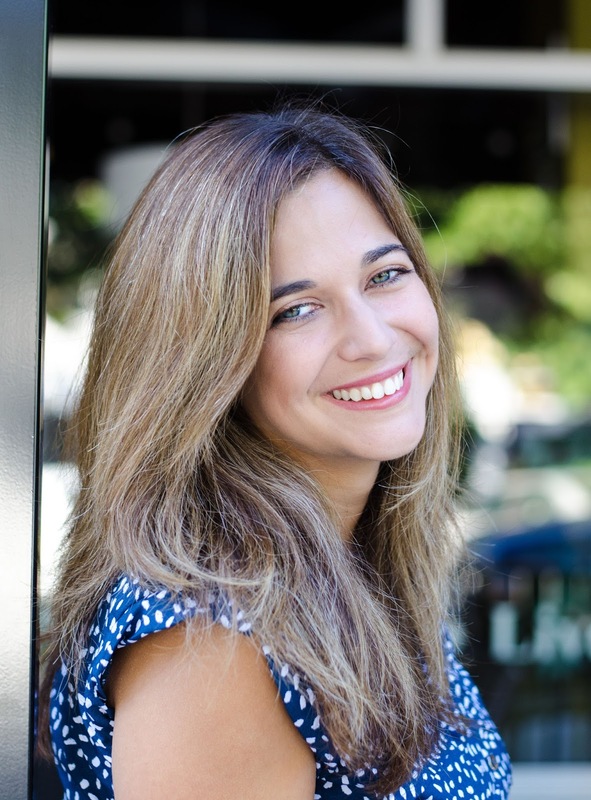 Renee Roberson is an award-winning freelance writer and blog tour manager for WOW! Women on Writing. She recently completed 30 luxurious hours of reading in her library's summer reading program. Visit her website at www.FinishedPages.com. What a great idea to visit all the area libraries. I retired and moved from North Carolina to Helena, MT and was fortunate enough to start working part-time at our local library. While we only have 3 branches (in totally different towns in the county), we did something with our bookmobile where the kids got a sticker for visiting it during different stops around the area. Love it you are so encouraging to them to take full advantage of their library system. Now to show them how to access the e-books and audio books via the library! I love the library! I remember, growing up, visiting the bookmobile and sometimes when I want quiet and reflection, the library with the wonderful smell of books, is my refuge. Great article. Renee--I for sure think there is a book idea here, just waiting to be written. I have such fond memories of the bookmobile, along with our regular trips to the big branch libraries. As a kid I went through a "saint" phase (even though I'm not Catholic), I went through a Greek and Roman mythology phase, I gobbled up every Nancy Drew book I could find...Yeah, I love libraries. So, you read for 30 hours. What was your favorite book that you read for the summer reading program? Have you read Sue Monk Kidd's "The Invention of Wings"? It is phenomenal, along with Leonard Pitts Jr.'s "Freeman." This one is beyond brilliant. Sorry to get sidetracked. I fell in love with libraries when I was in 3rd grade. And then I went from sniffing books at the library to mainlining at bookstores... but it's a habit I'll never quit. Judy--My daughter has been asking me to help her figure out how to access the e-books so you are correct, that's probably our next step! Sheila--I did so much driving to the libraries this summer I felt like my car was actually the bookmobile, ha ha! Sioux--I did read "The Invention of Wings," this summer enjoyed it, tough as it was. I also read "The Kitchen House," but like Kidd's novel better. And "In the Unlikely Event," by Judy Blume, among others! I do need to check out "Freeman" soon.